Abstract: This thesis revisits the manuscripts of the Canterbury Tales in order to piece together the evidence of women’s involvement in the consumption and circulation of this work. 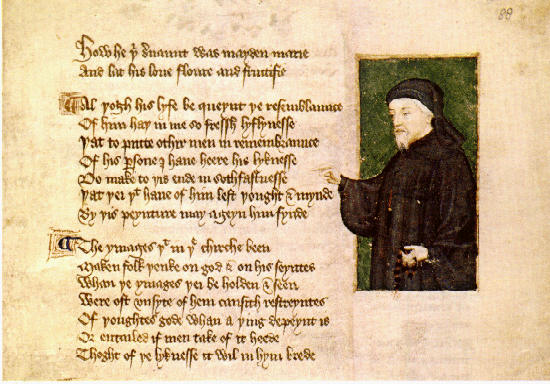 The Canterbury Tales is often overlooked as a part of the literary diet of late medieval women. However, the background context of women’s literacy and book usage suggests that fifteenth- and sixteenth-century women had both the ability to read and the potential to be interested in the work. This thesis uses a new large-scale approach to the extant eighty-three manuscripts of the Canterbury Tales in order to select a corpus with which to work and begins with an investigation of the internal and external evidence that indicates women used the manuscripts. It develops a new methodology and visualisations to map the social networks of women connected to the manuscripts and explores the localisation of each book in the select corpus to investigate how it affects these networks. This thesis finds evidence that women used the manuscripts of the Canterbury Tales in an informal way, and the books were potentially kept in close proximity at home. Affluence is a common factor between these women, and they had social and familial connections to other owners of the work, implying participation in a network of awareness of the text. Late medieval and early modern women appear to play a more significant role in the consumption and circulation of the Canterbury Tales than at first expected. Book transmission is not always linear, and the mapping of networks with visualisations has aided in understanding the women who may have used these books. Ultimately, this thesis provides a new perspective on how the Canterbury Tales transcends a network of geographical and gender boundaries.